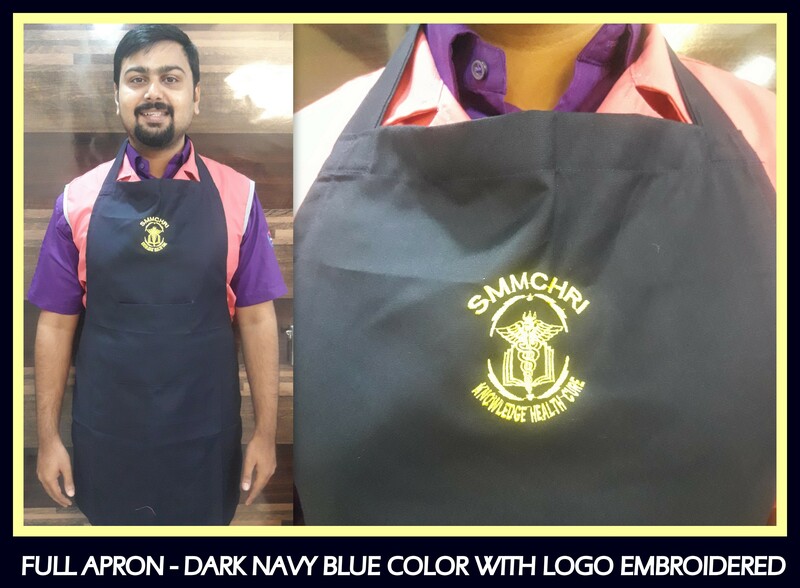 Uniform full aprons with logo embroidered !! Additional Description – The aprons can be manufacturer in many other plain solid colors with or without pocket. The knot can be made short and tied at back or the knot can be made longer to be tied in front. Call us now at 044 4232 6319 for your uniform requirement. Happy to help you at RSM Uniforms.